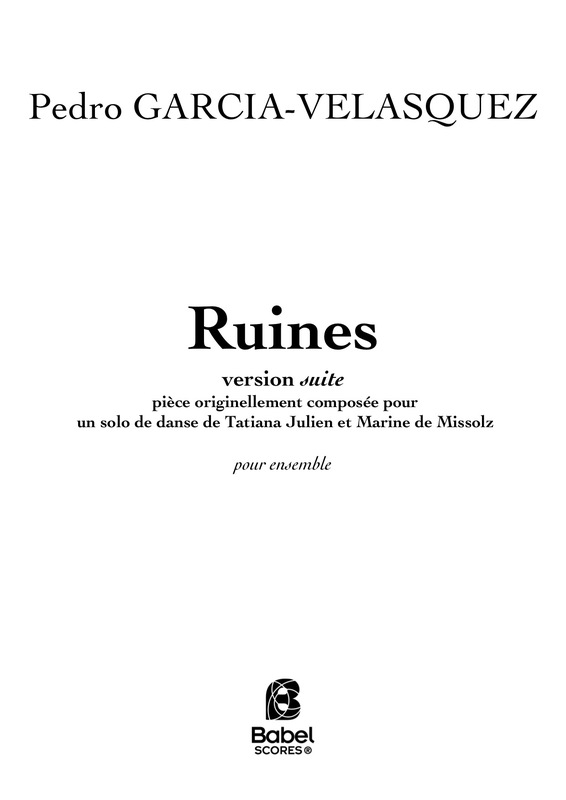 Ruines (ruins) was originally written for a dance solo by Tatiana Julien and Marine de Missolz and was commissioned by the dance company C'Interscribo. This concert version is a new form, more concentrated in time. Original version was premiered on festival Instances in October 2014 at l'Espace des Arts (Chalon-sur-Saône) by Tatiana Julien. Ruines presents the idea of ruin as something luminous and open. This piece was inspired by the poetic text Lessness by Samuel Beckett, particulary by its first phrase "Ruins true refuge long last towards which so many false time out of mind." In this piece, harmonie and timbre tends to blend and render ephemeral constructions with inner activity. 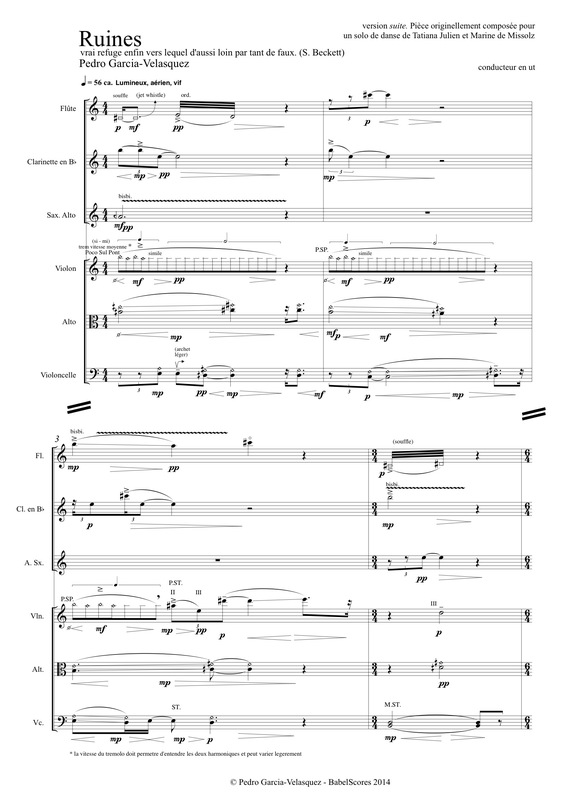 This piece works also on the idea of creating continuity among short, evanescent musical constructions surrounded by short silences. Premiered the 9th Juin 2017 at Teatro Mayor de Bogota by Le Balcon.